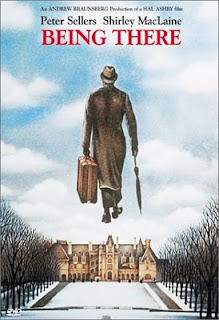 Being There is a comedy filled with satire and observational humor, but unlike today's slapstick infested embarrassment comedies, Being There is very, very subtle. This is another film made at the very golden age of Peter Sellers, and his understated acting shows he was one of the greatest comedy actors to ever live. Being There is calm. It's a film that takes it easy and never rushes to get its point across. It's a rather existential film, that makes you think about what it means to be smart. What does it mean to be dumb. When are you at your most lucid. When are you really being there?